In the case of owning a washlet toilet, cheaper isn’t better. 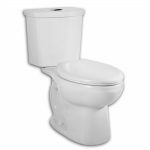 The name brand that everyone has known for 90+ years, has created a toilet with a Washlet that makes it stand out above the rest. It doesn’t come cheap, but this TOTO toilet and Washlet is beyond all expectations you may have. 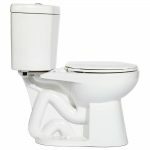 To find out what this toilet has to offer, you should read our TOTO Neorest 500 toilet review. 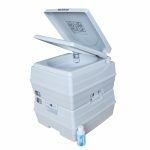 This toilet uses the cyclone flushing system to ensure that you do not have any more noise than necessary. It has no tank so you do not have to wait for it to fill up before flushing and you will not hear any noise from it filling. The Neorest 500 is coated inside and out with SanaGloss, TOTO's patented glaze. 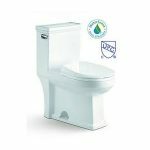 This gives it a super smooth finish that is also an ion barrier so that every time you flush the toilet, it gets cleaned by the fresh water that goes into the bowl. This toilet is smaller than most because it does not have a tank. This means the measurements are 26 1/4 inches long and only 20 inches high. The width of it is 16 3/4 inches. The Neorest 500 is a toilet that maintains itself. It has automatic features that can help you out. 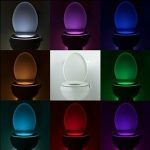 The toilet lid opens and closes automatically when you come near it or walk away from it. It flushes automatically when the sensor is activated. Can you imagine a toilet that ensures kids cannot forget to flush or put the lid down on? 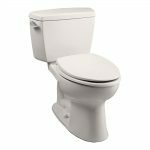 The included Washlet features front and rear warm water washes. It also has an automatic air dryer and deodorizer. These features are important because warm water is better than a cold water wash and the automatic air dryer ensures that you can do away with toilet paper completely. 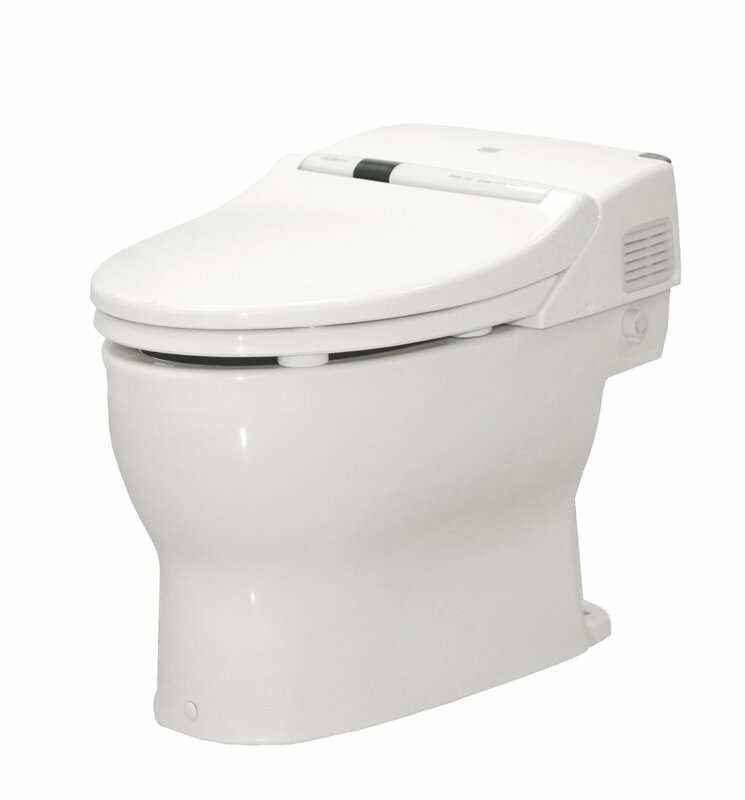 To further increase your comfort, the Neorest 500 has a heated toilet seat for those cold winter days. 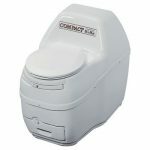 This toilet is available in either cotton white or Sedona beige to suit your personal preferences. It is designed to work well with your existing decor. This toilet’s ratings are a little lower than expected at 4.1 stars. Most owners love the heated seats and how easy it is to use, but there are some who have issues with the way it flushes. This could be because they need a booster for the toilet or it could simply be that they need a larger water supply line going to the toilet. Owners do say that the cleaning wand is out of the way enough that it does not get dirty when people use the bathroom. This is something that they were a little concerned about when they first purchased the toilet. You may have to send it off to TOTO for repairs. This is because most people are unable to find a plumber that knows how to work on it. When combined with the overall cost, this could make you rethink your choice to purchase it. 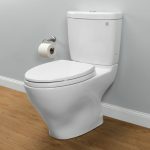 The TOTO Neorest 500 is one of the most interesting toilets on the market. It certainly provides more features than one of TOTO's standard toilets, such as the TOTO Ultramax. 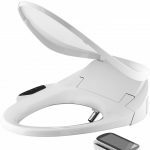 It is more than just a bidet toilet seat attachment, as the washlet is integrated with the toilet. It is designed to make luxury available in every bathroom. It does a lot of functions automatically so that you can worry less about the bathroom and proves that a toilet is no longer just a toilet. 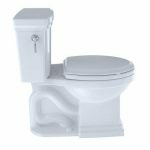 If you have the fantasy of owning a bidet or a toilet that works automatically, you will definitely be impressed by this toilet. Overall, it could be perfect in a master bathroom.